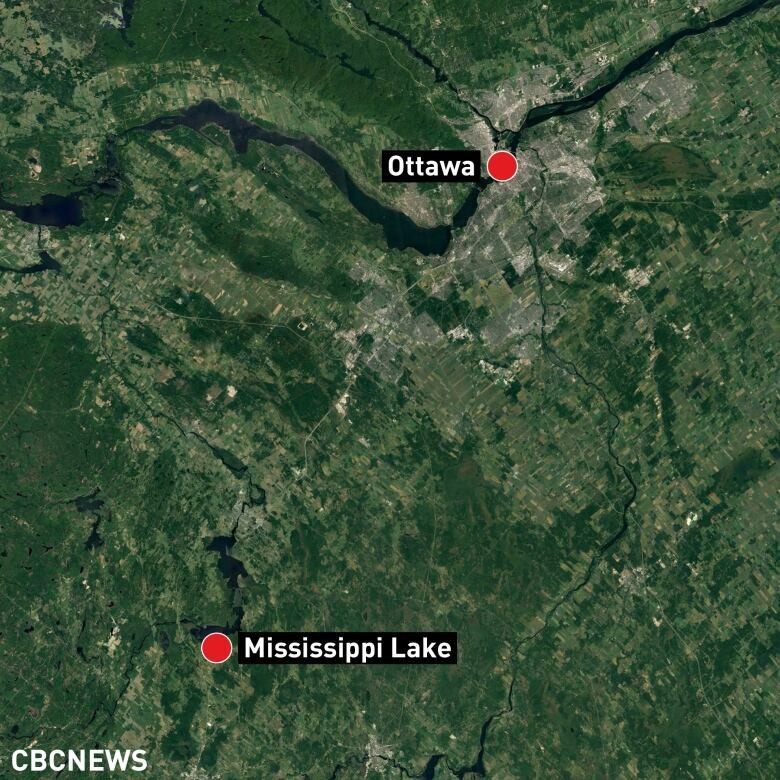 Police are investigating a potential fatality after two vehicles, in two separate incidents, broke through the ice on a lake 60 kilometres southwest of Ottawa early Sunday morning. Police are investigating a possible death after two vehicles, in two separate incidents, broke through the ice on a lake 60 kilometres southwest of Ottawa early Sunday morning. 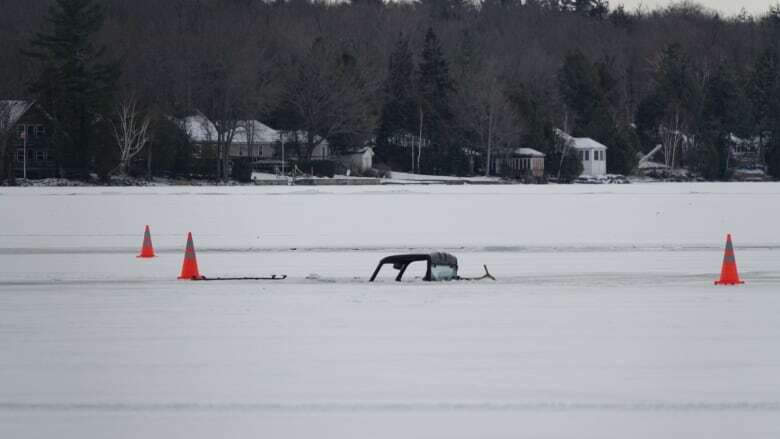 At about 3:45 a.m., Ontario Provincial Police responded to a report about a vehicle that crashed through the ice on Mississippi Lake, just south of Carleton Place, Ont. When officers arrived, they found a partially submerged all-terrain vehicle with its lights on. The ATV's three passengers managed to escape with minor injuries, police said. While searching for the ATV's occupants, police found another vehicle, a completely submerged Volkswagen sedan, which had been the subject of the original call. A man inside the submerged vehicle was taken to hospital to be treated for hypothermia​. A second passenger in the same vehicle is believed to be dead, police said, but they have not yet recovered a body. The man with hypothermia was able to get to shore and alert authorities about the crash, according to OPP Const. David Bird. Police said the two incidents are separate events and are not related. The temperature was "mildish" when the incidents occurred, Bird said. OPP are asking the public to avoid Mississippi Lake. Divers are expected to search the water on Monday, police said. 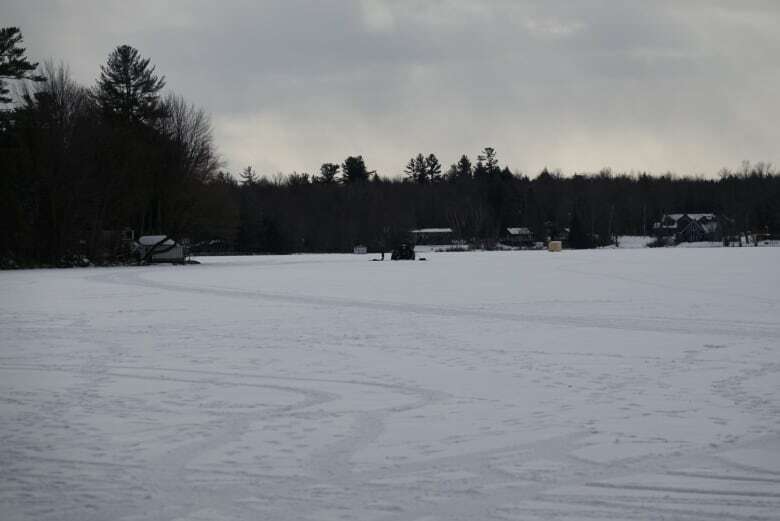 Even with the temperature in eastern Ontario expected to plunge Sunday night, people should still "err on the side of caution" before heading out on any local lake ice, Bird said. "There's lots of surface water, and the integrity of the ice is not guaranteed anywhere in the community at the moment," said Bird. 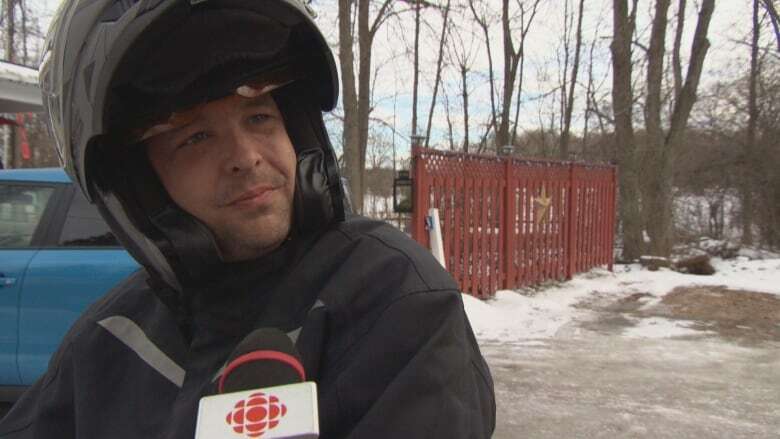 Dave Hicks was driving by on his ATV Sunday afternoon, and said the ice could have been weakened by the current from the Mississippi River, which flows into the lake. He said it "doesn't make sense" that someone would drive a Volkswagen onto that part of the lake. "I would never take a vehicle out there. My four-wheeler is light. I check the ice, I know where to go," Hicks said. "But it's still never safe. Never, never is. You're always taking a risk."